Is the Martin build your own guitar kit the best way to build a guitar? The Martin build your own guitar kit offers a chance to get a Martin guitar at a fraction of the usual price. But is it worth it? We love hand made, custom built guitars. But there's no getting around the fact that building one yourself is a long term project and one which requires you to learn and practise several new skills. And ordering a custom built guitar from one of the many great luthiers we feature here, as well as those we don't, is expensive. Good value, but expensive. Here's how it works. The kit, which is sold at Guitar Center, among other places, has all the wood and hardware you need. You can choose from several different shapes and finishes. And all the really difficult bits have been done already. So, the fretboard slots are in place, The neck joint has been machined. The soundboard finished, the side shaped and the thickness sanding done. There's still plenty left to do, though. You need to assemble the body, install and trim the braces, back, soundboard, neck, and fretboard. And you'll need to rout, attach, and trim the purflings and bindings. 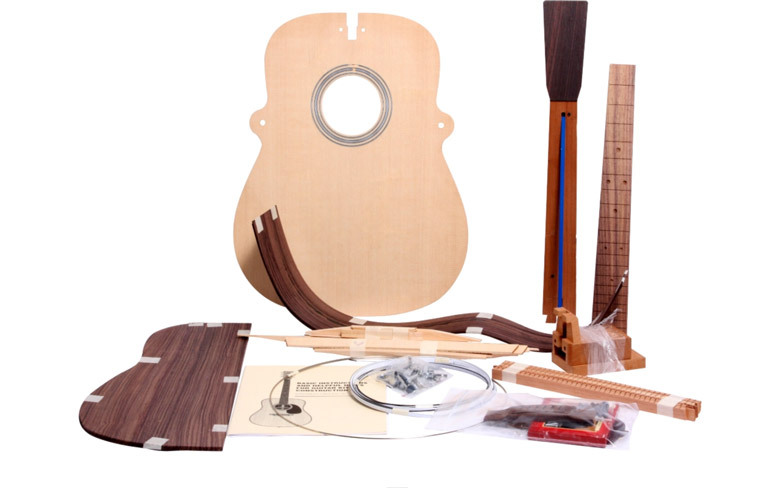 The kit has all the instructions needed to complete the job and build yourself a Martin acoustic guitar. All you need to provide are tools, finishes, and glue. And plenty of skill and patience. Or at least, that's the theory. It seems like a brilliant idea. But even putting together a prepared kit can be difficult – there's a reason the kit is much less expensive then a finished Martin. And that, together with marketing which perhaps over-simplifies the process seems to have led one or two people into trouble. Is it worth the expense and the trouble? Have a read of the reviews below the kit on Guitar Center. One reviewer said: 'In order to make an instrument you need some space to work, a workbench or worktable, a set of clamps and some background knowledge so that you don't ruin the kit by doing something wrong.' Well, to be honest, we'd think that anyone contemplating building a guitar, even from a kit, would have a workbench and basic tools. Another reviewer said: 'But while building it I was missing other items to build it and had problems playing it when it was completed.The neck snap off with a week or so and had to send it back.' That's not so good, but it's difficult to tell whether the problems were the reviewer's fault or the kit's. Now that can't be bad. It's a tough decision, but if you really want a Martin, and are interested in building your own guitar, it could be a great place to start. A note about the links on this page. 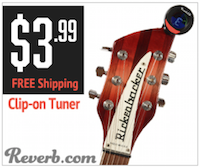 The links to Guitar Centre are affiliate links, which means that if you click on one and then decide to buy something from them, Guitar Hive earns a commission. That commission helps us build and maintain the site, and keeps adverts on the site to a minimum.